Farms Not Factories believe that the provenance and traceability of the meat we eat must be of highest concern. It’s time we changed our shopping habits to support high welfare farmers who do not abuse their animals or threaten the environment and our health. 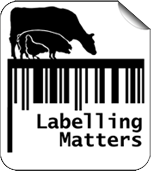 By purchasing high welfare labels at your local supermarket or online, talking to your local butcher or shopping at your local farmer’s market, not only will you be paying a fair price for cruelty-free, quality meat, your money will remain in the locality, thus helping preserve farming skills and vibrant rural communities. In order to help you source local pork from trusted suppliers, we created our very own High Welfare Pork Directory. We’ve currently accumulated over 800 UK farms, restaurants, shops and markets. 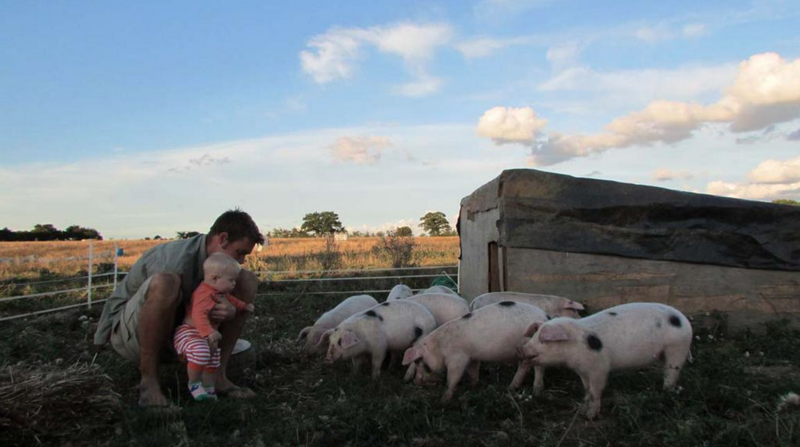 Here are some of our favourite farmers who’d be happy to put pork on your plate. First of many to takeover Farms Not Factories Instagram account as part of our project: #ontheground, Orchard View Farm and its Buckinghamshire bacon certainly doesn’t scrimp on flavour. Their free range pork was awarded the highest accolade by the Guild of Fine Food in the shape of a Great Taste 3 Gold Star Award (one of only 120 products awarded the grade across 156 categories including jams, drinks, biscuits and meat). More so, their homemade Fruity Pork Pie won a bronze medal at the British Pie Awards. High praise indeed! Glebe Farm in Lilstock, Somerset weren’t awarded The Good Pig Award by Compassion in World Farming on a whim. Their free range, outdoor reared Oxford Sandy & Black pigs (one of the oldest British pig breeds noted for its excellent temperament, mothering abilities and quality of pork) spend their entire lives on the smallholding – wallowing, rooting and roaming freely around their paddocks and bespoke built wooden arks. The farm operates a closed herd policy, meaning they only breed from their own pedigree registered animals. Whilst this controls the quality of pork, it also minimises the risk of any disease or infection. This, alongside Glebe Farms belief that chemical growth promoters and use of antibiotics ought to be prohibited (unless supervised by a vet) means that Glebe’s meat matures naturally and intensifies in flavour with age. 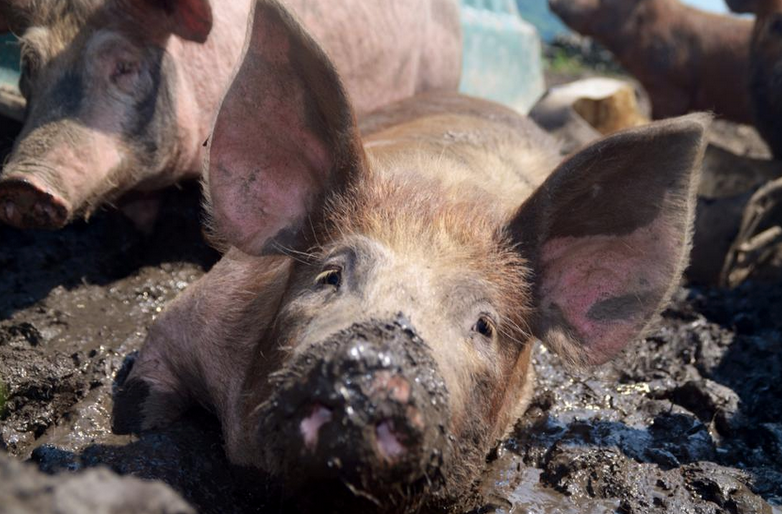 When you purchase pork from Glebe Farm, you’ll receive a complete history of the animal from field to fork – something supermarkets fall far short of! The Oak Tree Low Carbon Farm’s aim is to produce good food all year round, with the lowest possible carbon emissions. Thus, pigs play a key role in the farms integrated agriculture approach, helping to cultivate the Ipswich land in preparation for crops by rooting and removing roots of perennial weeds. Their traditional, rare breed Gloucester Old Spots are ethically raised without the use of steroids, growth hormones or antibiotics (unless required for veterinary purposes) and enjoy wallowing in mud or sheltering in cosy homes built from waste plastic materials. Their pigs enjoy a diet of waste veg, local brewers mash and pig nuts (many of which would otherwise go to landfill), making Oak Tree’s pork rich in flavour. 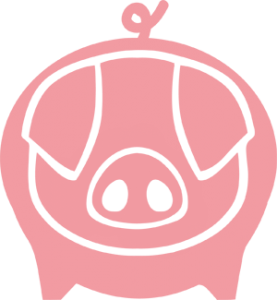 Good news if you’re a Pig Pledger as the Oak Tree now offer “half pig” shares to those who have signed The Pig Pledge. Despite this, the Oak Tree relies on donations and a substantial planned lump sum recently fell through. You can help Save The Oak Tree by visiting their crowdfunding page. 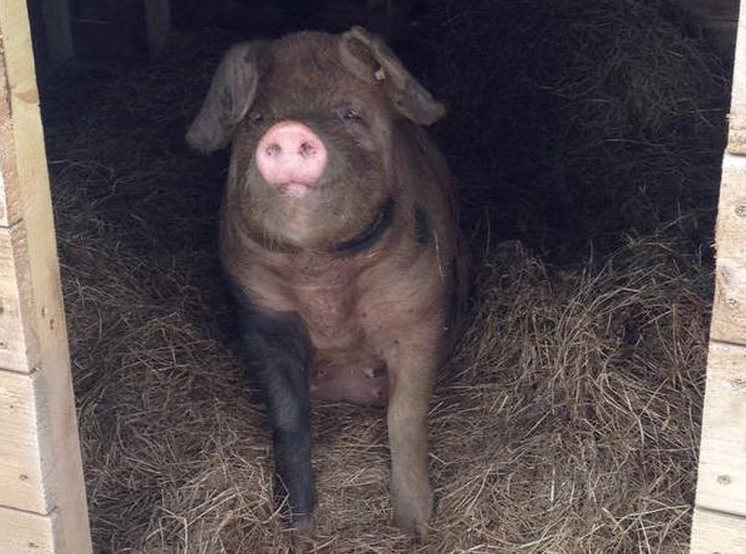 Woodside Farm believe that the highest-quality pork derives from traditional breeds. 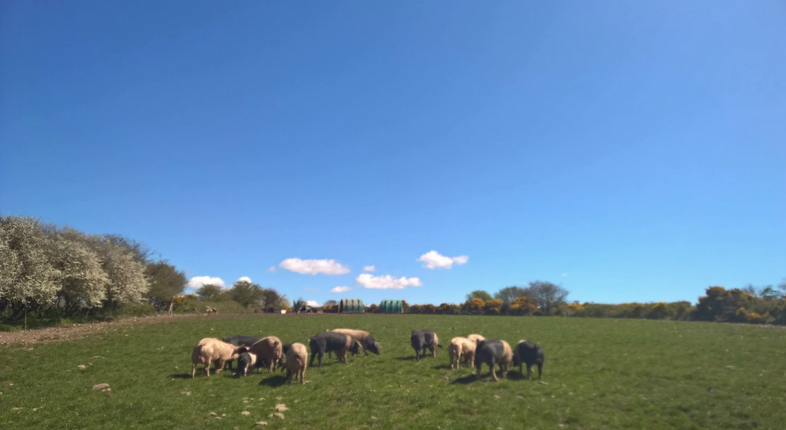 That’s why this family-run farm in Leamlara, Cork breed free range Pedigree Saddlebacks and Gloucester Old Spots: traditional pigs that thrive outdoors and mature slower, making their meat naturally marbled and extremely delicious. These pigs spend their entire lives outdoors, are rotated onto fresh pasture regularly and sleep in moveable arks packed with straw bedding. Not one to break up a piggy friendship, Woodside allow their pigs to mature alongside their littermates and they stay together as a group throughout their lives. As well as curing their own bacon and preparing their own sausages and charcuterie, Woodside never use any preservatives or stabilisers. Why not try their 100% Pork & Apple Burgers? Having received a Eurotoque Award for their products, sustainable farming practices and high animal welfare standards, your money will be spent wisely! Porcus is a small farm nestled on the moors above the idyllic market town of Todmorden in the South Pennines. 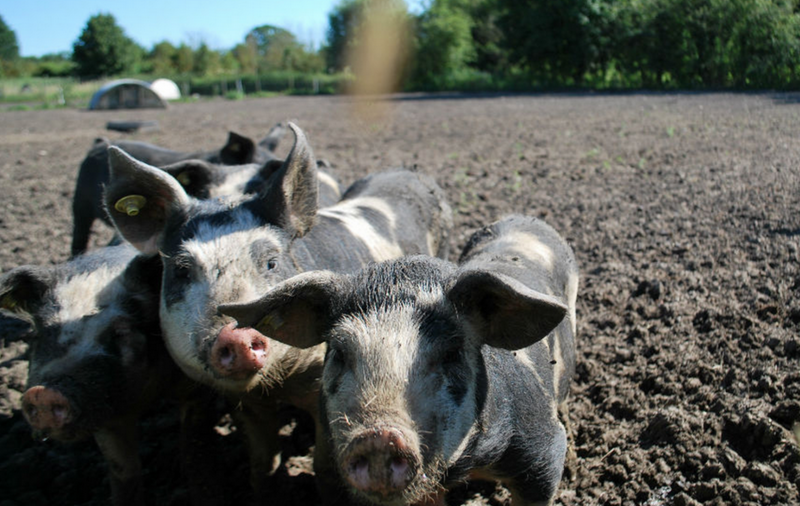 Their free range, rare breed pigs are raised outdoors to the highest welfare standards and are happy, healthy and active whilst rooting and foraging freely in the surrounding fields. Because Porcus raise their pigs for longer, they’re fit as fiddles and fantastically flavoursome! 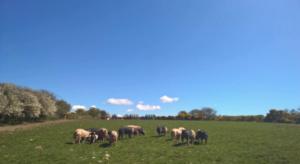 Thus, you’ll be pleased to know that the farm produces a wide range of delicious homemade pork products using traditional methods with fresh seasonings and flavours. Check out their renowned artisan sausages, incredible traditional dry-cure bacon or tasty hog roast! 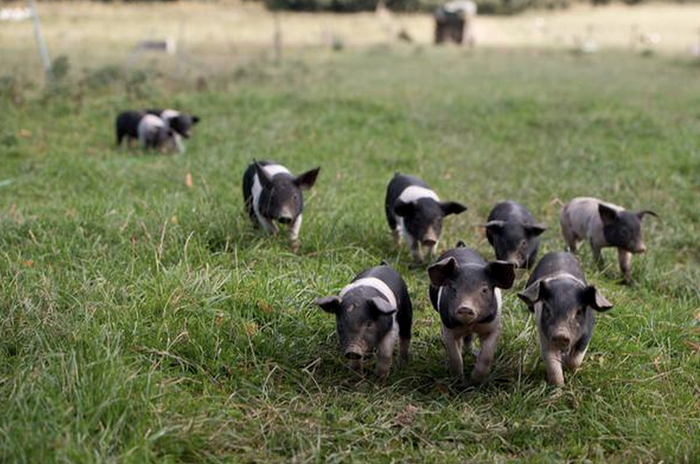 The one hundred and sixty acres of Swillington Farm, Leeds, is where several organic, rare breed Saddleback pigs call home. The farm has a diverse range of habitats including woodland, marsh, pasture and ponds – a piggy haven in which its small family groups of Saddlebacks are free to range. The majority of Swillingtons produce is organic and certified as such by the Organic Farmers and Growers body, putting the farm at the forefront of environmentally friendly, sustainable, high welfare agriculture. Not only does Swillington make use of a local slaughterhouse in order to reduce food miles and pollution, the meat is then butchered in a range of succulent, flavoursome cuts (as well as to specific customer specifications) back at the farm. More so, their meat comes highly recommended having been independently judged Best in Yorkshire for three years running by the Yorkshire Post Taste Awards as well as being commended at the Organic Food Awards. In fact, Swillingtons produce has been cooked by celebrity chef James Martin, served in Salvo’s Restaurant (winner of Gordon Ramsay’s The F Word) and sold in Harvey Nichols’ Food Court. Their Saddleback sausages even reached the finals in the search for the Best British Sausage Sandwich. If you’re a high welfare farmer and would like to be added to our online Supporters Page and High Welfare Pork Directory, simply email info@farmsnotfactories.org or complete the ‘Get Listed’ entry form today!